Despite their young age, David and Ruben Firnenburg already belong to the climbing elite. 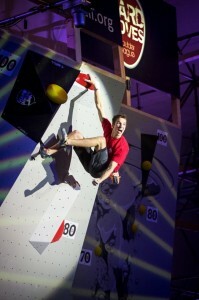 No matter if it is bouldering or sport climbing, on rock or at competition, their name is often ranked top in the end. In recent years, the two native Hanoverians have achieved national and international success in climbing. 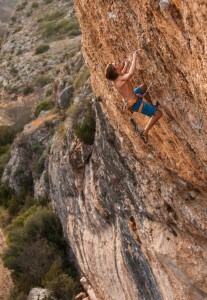 At the age of 5 and 6 years, during a family holiday in Northern Italy, they discovered their enthusiasm for climbing. 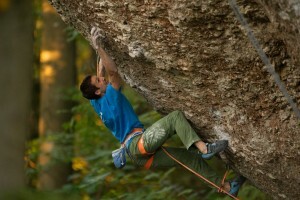 Assisted by their parents and the climbing scene in northern Germany they got to learn climbing with passion. After their A levels they first traveled around the world. A year ago then, they moved to Zurich, Switzerland. 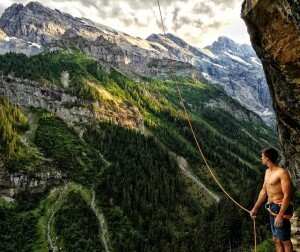 Their choice of living in this new place is not a matter of coincidence: “Here we can combine studying and training very well and there are only short distances to the rock climbing hot spots in the Alps”, David explains. In spite of this big step to Switzerland, they both agree that they will not let disrupt their connection to Hanover over the new distance. “We will keep in touch with the North – especially with the Escaladrome, the home and hot spot of bouldering in Hanover, and our family”, Ruben says. For both, the highlights of the international competition season occurred in the second half of the year. 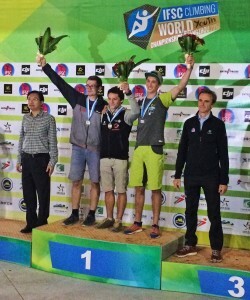 Ruben achieved a strong third place in the combined format of bouldering, lead and speed at the Juniors’ World Championships in Guangzhou in November. And David also secured a bronze medal in the same format at the World Championships in Paris in September. The combined triple will be the future competition format of the Olympic Games in Tokyo 2020, where climbing will be Olympic for the first time as one of five new sports. Ruben and David are thrilled and see good chances to qualify for this important sport event. 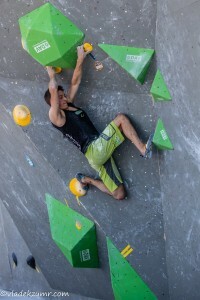 But that’s not all: David just missed the podium at the Boulder World Cup in Munich in summer, but secured a strong fourth place. In September Ruben crowned his competition year 2016 with a victory at the German Championship of sport climbing in Neu-Ulm, where David achieved the third place. Also rock climbing went very well – despite the long and strenuous competition season last year. Thus, David could send the legendary “Action Directe” (9a) in Frankenjura, one of his proudest achievements so far. “Topping out „Action Directe“ once in my life has always been a dream for me. This year, on the 25th anniversary of the route, this dream came true“, David says. Ruben’s big project by the beginning of last year was the long and overhanging “Selecció Natural” (9a) in the huge cave of Santa Linya in Catalonia/Spain. Right at the end of the year he started a new try ascending the route, but he had to realize that a number of decisive holds had broken out in the meantime. For the time being, he changed his project to the left and ticked “Analogica Natural” (9a) shortly after Christmas. Completely free and self-confident, he then succeeded during the last day of 2016, on December 31th, being finally able to send “Selecció Natural”. These were two 9a’s in just four days. What an end of the year on rock for him! Though, for David and Ruben the sports year 2016 began with the famous HardMoves Boulder league event. Together with eight other athletes of the Escaladrome Hanover the two brothers qualified for the final and then took a strong second place in the “Swimming Opera” of Wuppertal. “The HardMoves is probably the coolest fun competition for me at all. I like it very much that my own performance is not the focus, but the one of the whole team. And the team of the Escaladrome is just great. Everyone is passionate and dedicated, they help and cheer you up the wall, and the fan community from Hanover is simply undescribable. It is always an event full of tensions and emotions. I’m looking forward to next time! “, David reports. We would like to congratulate and wish all the best to the two Firnenburgbrothers also for 2017! 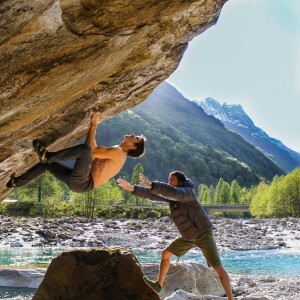 Dieser Eintrag wurde veröffentlicht in Allgemein und verschlagwortet mit 2016, 2020, 8a.nu, 9a, action directe, alps, analogica natural, bouldering, china, climbing, competition climbing, david firnenburg, eddie fowke, escaladrome, Facebook, firnenburg, firnenburgbrothers, france, frankenjura, german championship, germany, guangzhou, hannover, hanover, HardMoves Boulderleague, henning wang, Instagram, japan, lars scharl, liam lonsdale, madskillzmedia, munich, Neu-Ulm, olympic games, paris, rock climbing, ruben firnenburg, santa linya, seleccio natural, st linya, switzerland, tokyo, vladek zumr, world championships, world cup, Wuppertal, youth world championships, YouTube, zurich von admin. Permanenter Link zum Eintrag.